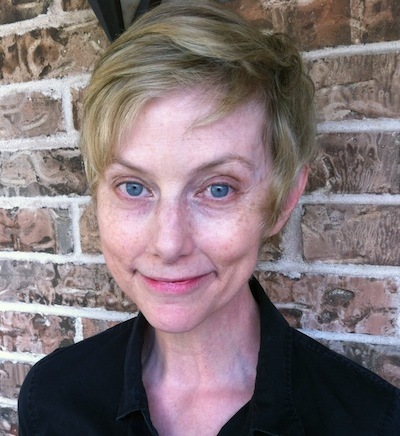 Katherine Catmull is a novelist, playwright, and actor. Her first book, Summer and Bird, published in October by Dutton Juvenile/Penguin, received starred reviews in Kirkus and Booklist and was one of Booklist’s 2012 Top Ten First Novels for Youth. Her second book with Dutton is due out in fall 2014. She is also one of four authors of The Cabinet of Curiosities, a collection of spooky, creepy, or otherwise unsettling short stories, to be published by Greenwillow/HarperCollins in summer 2014. Those stories can be previewed at EntertheCabinet.com, where fresh creepiness is posted weekly. Katherine also acts on stage in various Austin venues, has seen nine of her short plays for adults produced or published, and does voice work for games like DC Universe Online (Oracle) and Wizard 101 (Myrella Windspar). Gigi Amateau: Have you had a lifelong love of fairy tales? Can you recall the first time you heard or read a fairytale as a child? Katherine Catmull: Definitely a lifelong love, and no way I can remember the first—it would be almost like remembering my first word. I was an early reader and had all those Andrew Lang color fairy books — you know, the Red Fairy Book, the Blue Fairy Book, etc. I also had some edition with Edmund Dulac illustrations—his gorgeous “Princess and the Pea” illustration fascinated me. I remember the pleasure of finding out that there was something beyond the boring old Cinderella and Sleeping Beauty that we saw in the Disney movies or did as class plays. It was fascinating to learn that those particular stories were far more interesting and complicated than Disney had led me to believe; also to find out that there were so many more fairy stories out there, of dancing princesses and swan maidens and Bluebeards and all kinds of crazy things. Those discoveries I do remember clearly as one of my first sharp pleasures as a reader. I also loved mythology. My mother used to read me from Greek mythology, I think Edith Hamilton, as bedtime stories. Those were pretty mind-blowing—I am still fascinated and confused by the Eros and Psyche story. I’d like to write a version of that some day. I later read Norse and Egyptian mythology on my own. When I was 8, and we all had to do a report on what we wanted to be when we grew up, I chose mythologist. GA: I love the vivid way you drew the bird world with such detail: anatomy, vocalization, flight. Are you a birder yourself? KC: Not in any serious way. But backyard birding is a pastime I have long enjoyed with my cats (the cats stay safely behind a window, though). When I first began Summer and Bird, I hung a feeder outside the window of my writing space, and I spent a lot of time watching the little beady-eyed critters going about their days. I watched a couple of generations of cardinals feeding their giant babies; fell in love with titmice, who have very pleasant faces; felt the exasperation all backyard birders feel about the big clumsy doves scattering all the smaller birds. I also spent quite a few hours in a kayak on the river here in Austin, just lying on my back and floating, spying on swans. I love the common little brown birds. Sparrows are awesome. In Summer and Bird, a sparrow plays a crucial role, just by being his simple, steady self. GA: One of my favorite aspects of the story is the red house, which feels generous, loving, and alive. I found those scenes very moving. What inspired you to create such a character? Or is the house an extension or a manifestation of a different character? KC: I did initially conceive of the red house as a sort of extension of something from an earlier scene (trying to be tricky here so as to avoid spoilers). When I’m reading—or more often when I’m re-reading— I love to discover little things that link together like that: “Oh wait, now I see—this must be what that meant a couple of chapters ago, when that other thing happened—“ etc. I love it when you can see the threads connecting. But as I continued writing, the red house became far more than that—what you describe is exactly what I intended. The scenes in the red house are among the strangest in the book, but they are also very close to my heart, and very close to the heart of the book, for me. So I often wonder how people react to them. I’m so glad you liked them. GA: What were the challenges of writing a novel with two protagonists, Summer and Bird? How did you get to know both sisters and give them room in the story to pursue their own journeys? KC: I had never written a novel before, so I had no idea until I wrote my second one (due out in fall 2014, and currently with my editor) that it’s a whole lot easier with only one protagonist, holy smokes. Especially when your protagonists split up early on, so you have to follow and somehow mingle two plot threads—that makes it tricky. But I wanted to write a story of siblings—I have five younger siblings, and that sibling relationship was formative for me and remains important in my life today. Siblings really shape each other against one other, both in admiration and opposition, and most of it happens unconsciously, or barely consciously. You see a lot of that with these two sisters, their secret jealousies and secret admirations for each other. Summer was much easier for me to write, as an over-thinking, overpacking older sister myself. In some ways the process of writing this novel was the process of coming to understand Bird, or coming to find Bird in myself—the proud, decisive, instinctive part of myself—which really needed some air. KC: Well, as that manuscript is with my editor now, I’m hesitant to say too much about it. We may make changes, including title changes, so I feel like remaining a bit mysterious. But right now it is set in Ireland, and is about a girl who lives in a house under a hill with a tree inside it. GA: Please finish this sentence: Strong girls _______________. KC: The marvelous thing about that sentence is that it can finish in almost any way it chooses! Strong girls take care of themselves and each other. Strong girls make crazy mistakes and learn from them and go on to make more, and learn more. Strong girls speak their minds; and strong girls do that even harder thing, speaking their hearts. I would also add “noisy,” by the way. I quite like noisy girls.